GetResponse vs VerticalResponse : Email Marketing Faceoff GetResponse vs VerticalResponse : Email Marketing Faceoff – MillionClues! Established just two years apart, GetResponse and VerticalResponse are two of the older and more established email marketing service providers around. VerticalResponse is the younger company but it cannot be easily dismissed as the inferior and copycat option. If you are looking for a good email marketing service, these two are great choices you should consider. GetResponse is one of the most reliable and feature-rich email marketing services around. Its users include major international companies like GlaxoSmithKline and Intercontinental. You can say that you’re in good company if you decide to choose it for your email marketing campaigns. However, VerticalResponse presents itself as an exciting competitor. 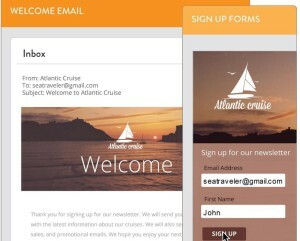 In 2012, it won About.com’s reader’s choice award for the best email marketing service. Get to know more about these top options email marketing service for you to make an informed decision. 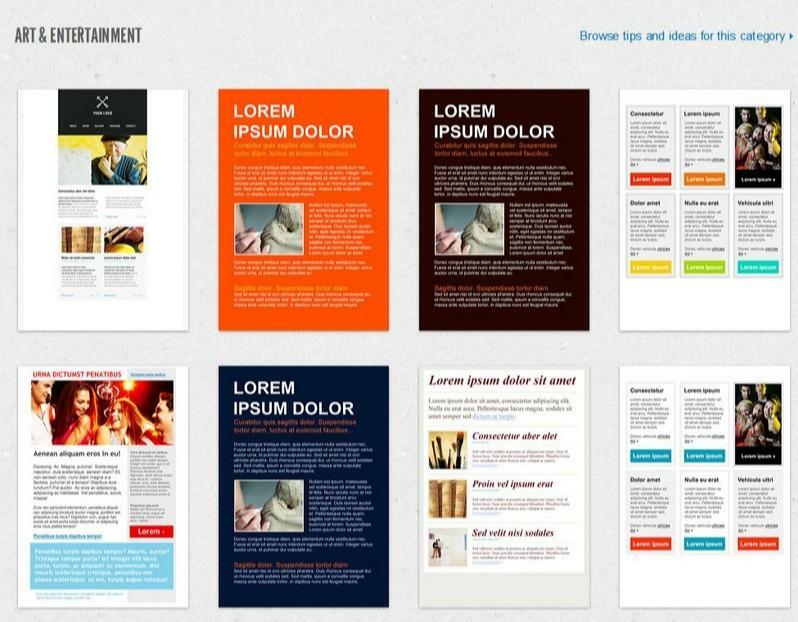 Both GetResponse and VerticalResponse offer a good deal of customizable templates to quickly create professional looking marketing emails in a matter of minutes. 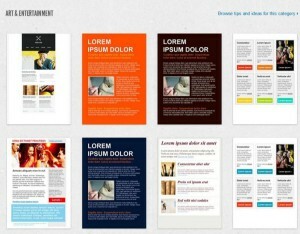 Colors, fonts, backgrounds, layouts, and various other aspects of marketing emails can be customized. Videos and social media sharing buttons may also be added. Additionally, they provide drag-and-drop interfaces that are also able to create emails with responsive designs that adjust to the size or resolution of the devices that view them. GetResponse and VerticalResponse, likewise, provide customizable sign up forms for websites or blogs to attract more contacts or subscribers. 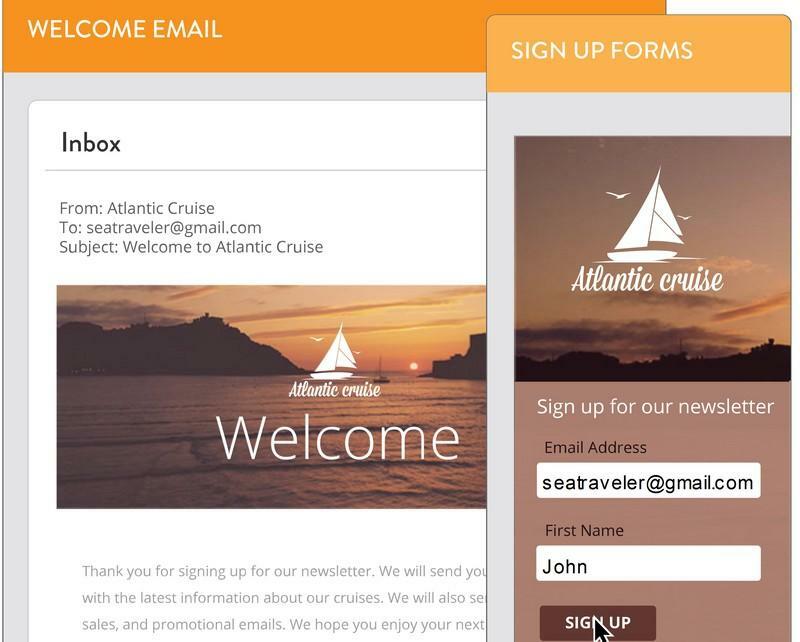 Hundreds of form templates are available on both and they also have HTML editors for those who want to build their forms from scratch. Autoresponders are deemed vital for any email marketing service. The good news is that both GetResponse and VerticalResponse have this function and are comparable in their capabilities. Aside from sending emails to welcome new contacts, thank new sales leads and customers, or deliver vouchers, they also show details on the number of emails sent and the actions their recipients have done so far. 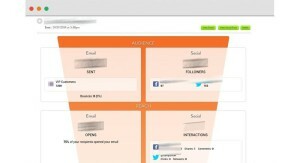 This allows you to decide on the next actions to take so you can make the most of your email marketing campaign. For instance, you may want to move specific contacts who have already completed a certain action to a new sequence of actions. GetResponse, however, has a better autoresponse function overall because it supports action-based messages or the automatic sending of emails based on the actions completed by your contacts or subscribers. The way the emails are written can affect success or failure. That’s why tweaking is often necessary. To do tweaks that yield good results, it helps having an A/B testing functionality in your email marketing service. Both GetResponse and VerticalResponse come with their A/B or split testing functions that help in the drafting of more effective marketing emails. These tests are used to find out what subject line and CTA works best, how should the content be laid out and written, or when is the best time and day to send the emails. Many users and those who have written email marketing service reviews tend to think that GetResponse has a more sophisticated testing system. Additionally, GetResponse comes with an ‘inbox preview” feature that allows you to see how your email appears on the inbox of the intended recipient. In the campaign tweaking aspect, GetResponse is arguably better although not by a long shot when compared to VerticalResponse. Documenting and analyzing the progress of your email marketing campaigns is easy in both GetResponse and VerticalResponse because of the robust reporting functions they sport. 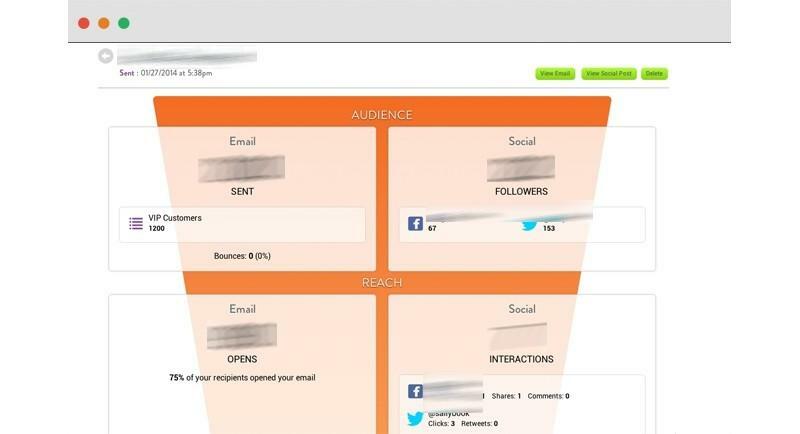 GetResponse refers to this reporting function as email intelligence, designed to help you optimize your campaigns by simplifying the process of tracking, gauging, and analyzing data. Comparison can be made. Site conversions and hourly fluctuations can be measured. Segment subscribers can be easily identified and subjected to the desired sequences with just a few clicks. VerticalResponse, on the other hand, generates reports that are easy to read with their minimalistic appearance and emphasis on key statistics. The report is divided into two main parts: information about the audience and the reach of the campaign. The report shows the number of emails sent, bounce rate, number of social media followers, number and percentage of emails opened, and social interactions. The reporting features of these two email marketing services will already satisfy the needs of most email marketers. However, GetResponse can be considered better in being able to perform one-click list segmentation, an email ROI graph, and autoresponder statistics. It offers slightly more details and quick comparisons. Calling it “intuitive email intelligence” does make sense. Before the price adjustments, GetResponse used to have the same price if not more expensive prices when compared to most competitors. Now, GetResponse is easily one of the cheapest email marketing services available. While it may not have a free plan, its lowest plan (for a maximum of 1,000 subscribers) only costs $15 per month whereas the corresponding VerticalResponse plan costs $22 for the basic version and $32 for the pro version. For 2,500 subscribers, it’s $25 versus $33 or $48. For 5,000 subscribers, it’s $45 versus $55 or $80. For 25,000 subscribers, it’s $145 versus $160 or $232. If you are new to email marketing services, it’s hard to consider VerticalResponse as an option based on the prices alone. You might be convinced that there are advantages in VerticalResponse if you get to talk to them but based on the published pricing details, GetResponse doubtlessly has the edge. Obviously, this comparison considers GetResponse as the winner. VerticalResponse is by no means a bad option but is unlikely going to outmatch the former in terms of features and pricing. Even when it comes to deliverability, GetResponse confidently claims that it is able to offer a deliverability rate of 99%. VerticalResponse has no official deliverability claim although reviewers and blogs would describe it as “good” at the very least.